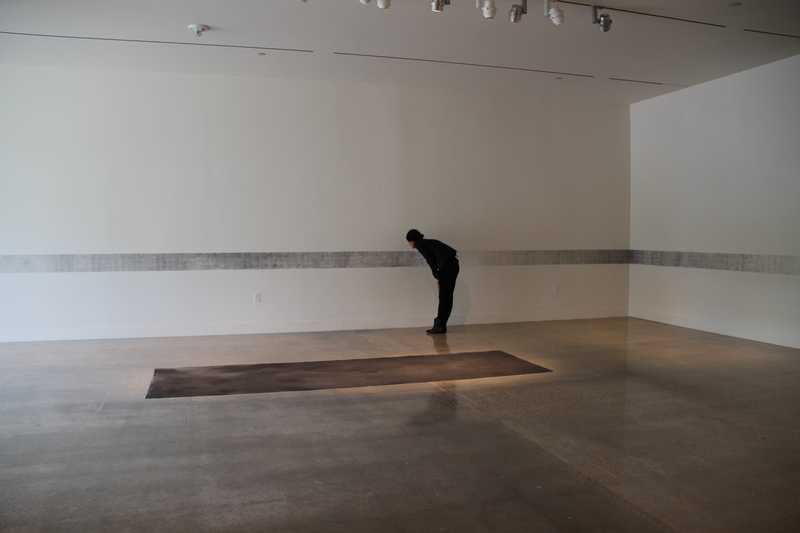 Adriana Corral, Memento, 2012, site-specific installation, Victims’ names transferred on wall, ashes from burned paper list, dimensions vary. so often no one could imagine it not being there. we need you desperately, where have you gone?